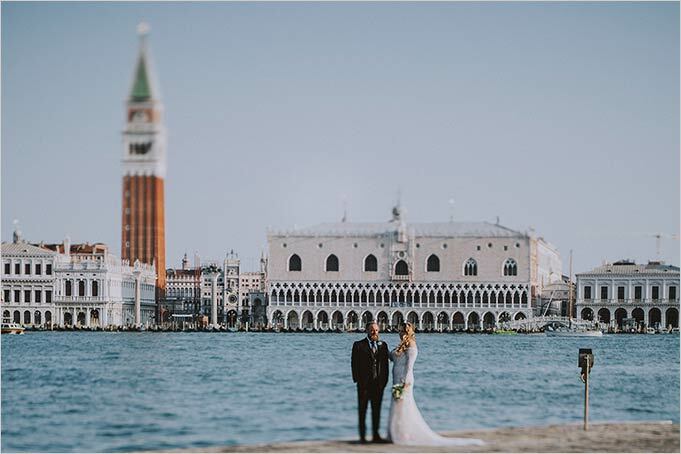 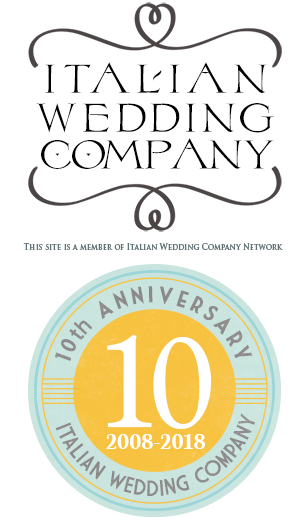 Kaitlin and Robert are a wonderful couple who chose Venice for their romantic Italian wedding. 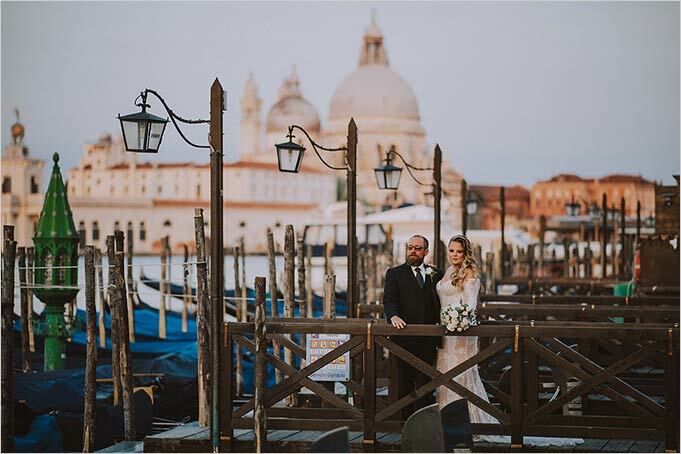 They eloped from America to enjoy an intimate special day and a great photo shooting at the sunrise while Venice is still asleep. 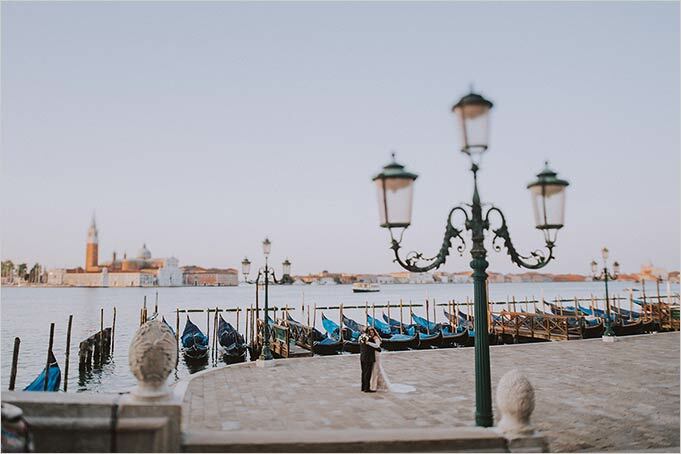 At Sunrise they could breath the real venetian atmosphere. 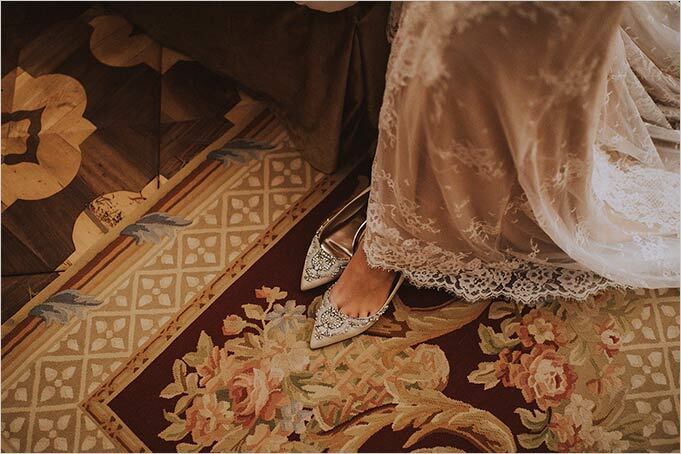 So charming! 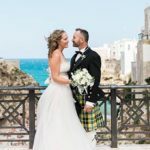 It was an amazing experience! 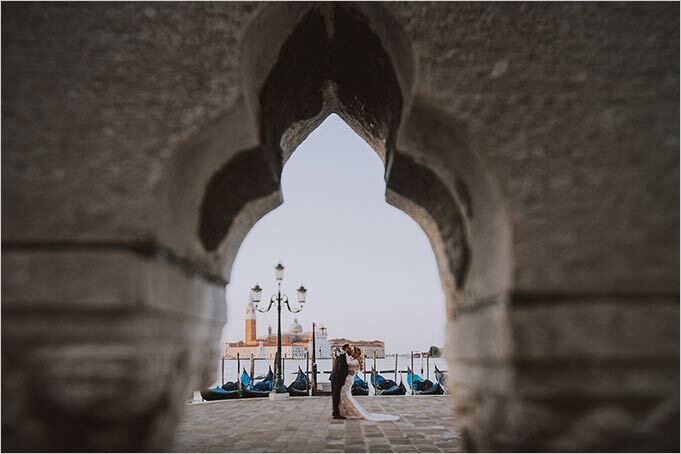 It was a lovely way to discover the most secret corners of Venice, one of the most beautiful and romantic cities all over the world. 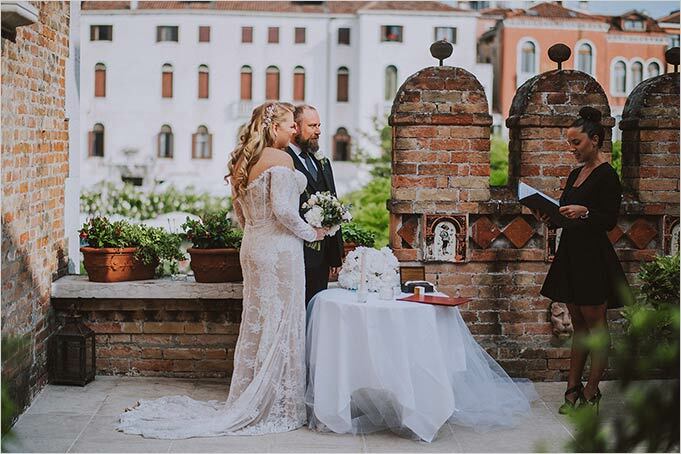 We have to thank incredible artistic work of Moon photographer who captured magic moments and give back to the couple great memories of this special day. 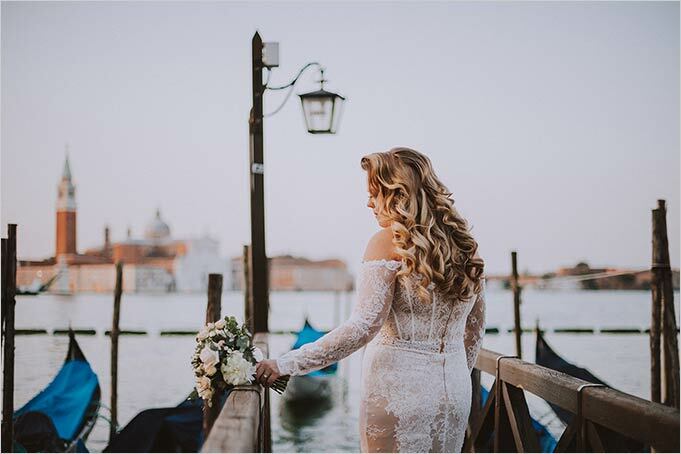 Kaitlin got ready in romantic small hotel in the heart of Venice. 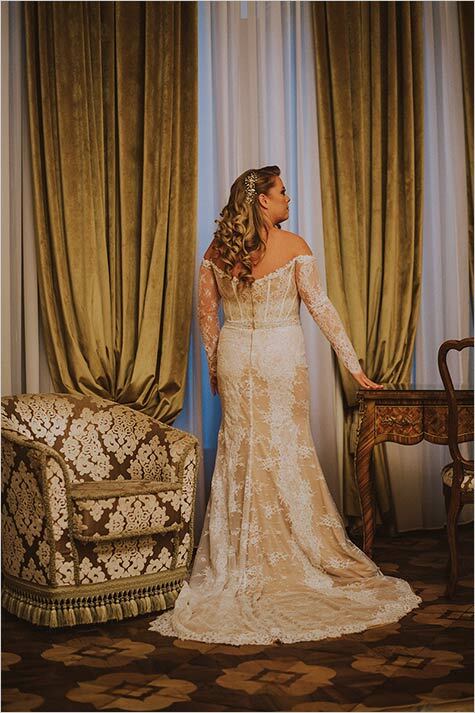 She started hair and make-up session at 2am. 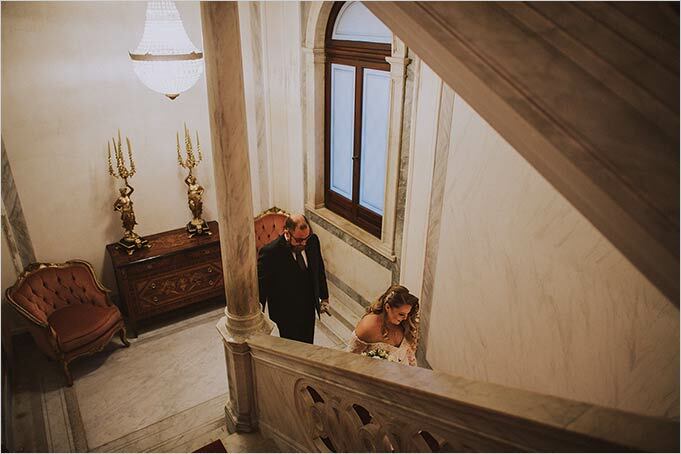 Make-up artist guided the bride to choose the best solutions according to her style and the wedding dress and romantic bridal bouquet she chose. 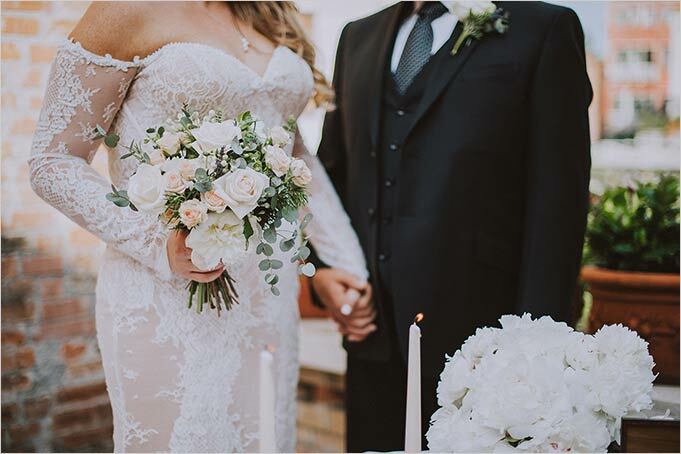 She picked up a lovely bouquet made up of white peonies, lavender, eucalyptus and rosemary. 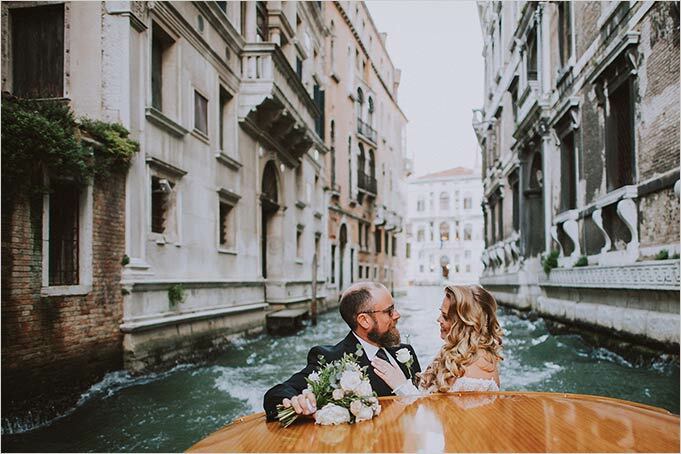 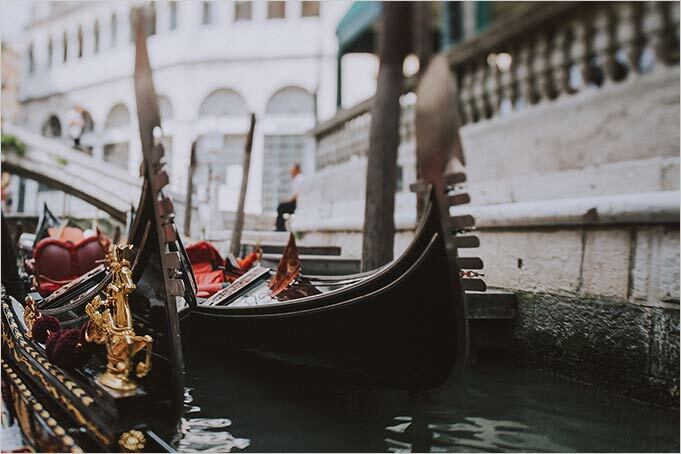 At around 5,30am Kaitlin and Robert were ready to leave the hotel and take their wooden boat to move around Venice. 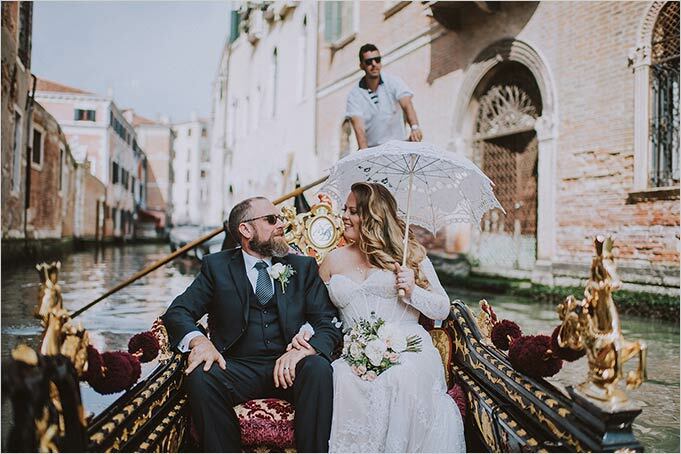 They travelled along Canal Grande enjoying the most beautiful views to the historic palaces and the intimate silence of the city at the sunrise time. 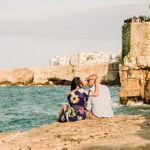 Can you imagine something more romantic than that? 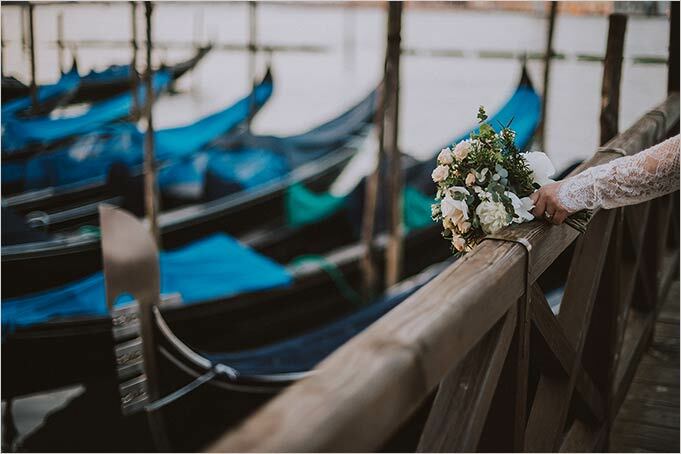 Let’s start the photo shooting: wedding in Venice at sunrise! 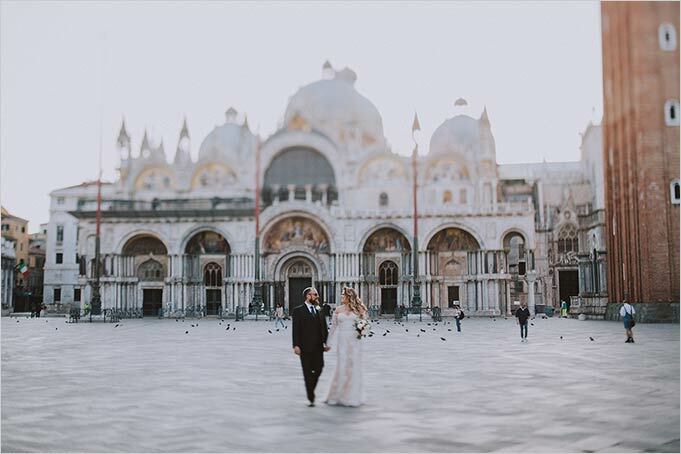 St. Mark Square is the most important spot in Venice. 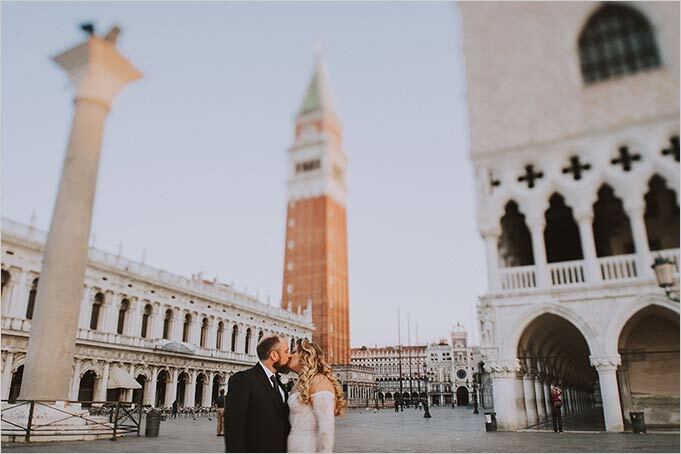 Sun rises just in front of the square. 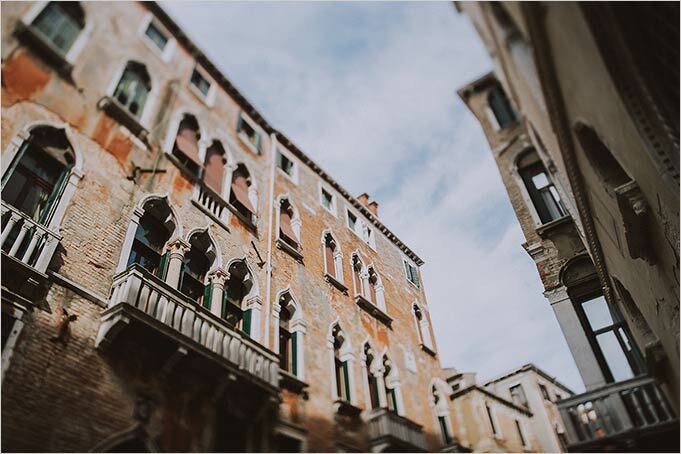 Scenario is absolutely breathtaking! 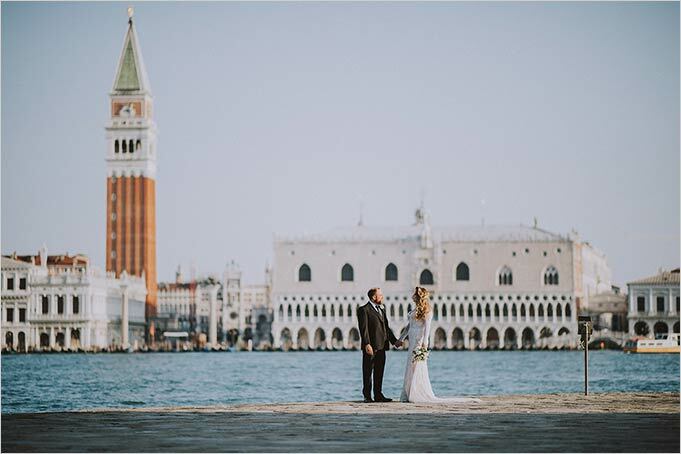 Kaitlin and Robert took the chance to take some photos in the square with St. Mark Church in the background. 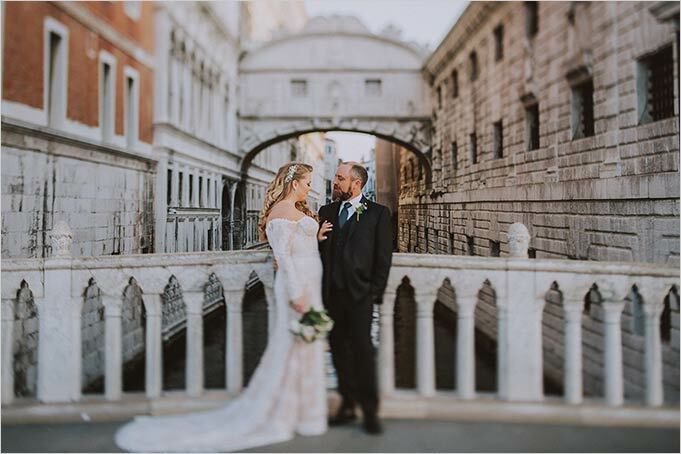 Famous Ponte dei Sospiri and Palazzo Ducale were a perfect way to end the photo shooting in central Venice. 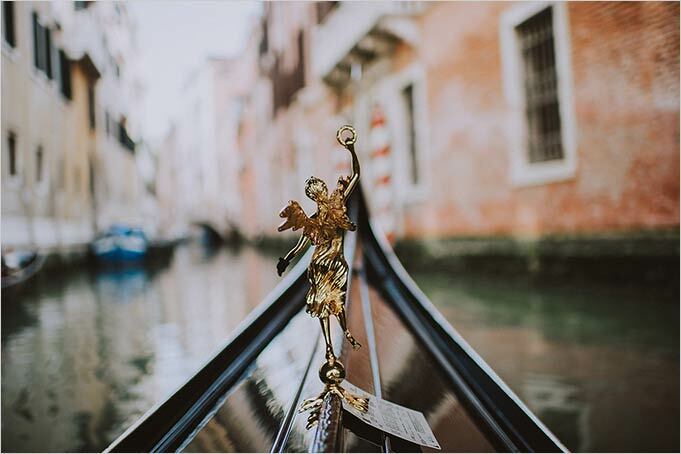 Then they took the boat back to reach Isola di San Giorgio. 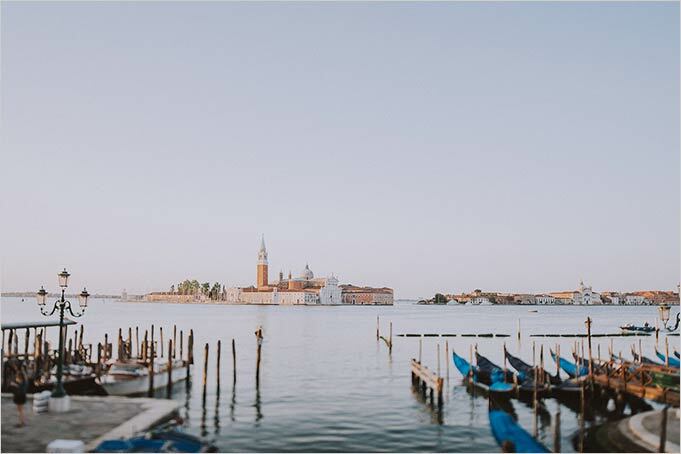 View of Venice from the Island is incredible! 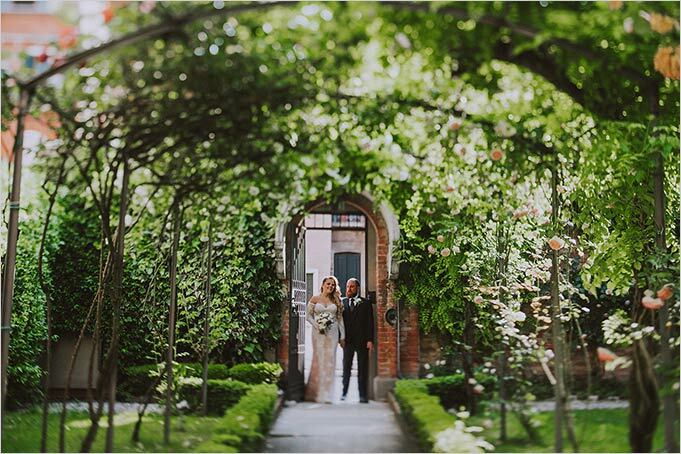 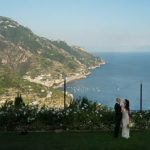 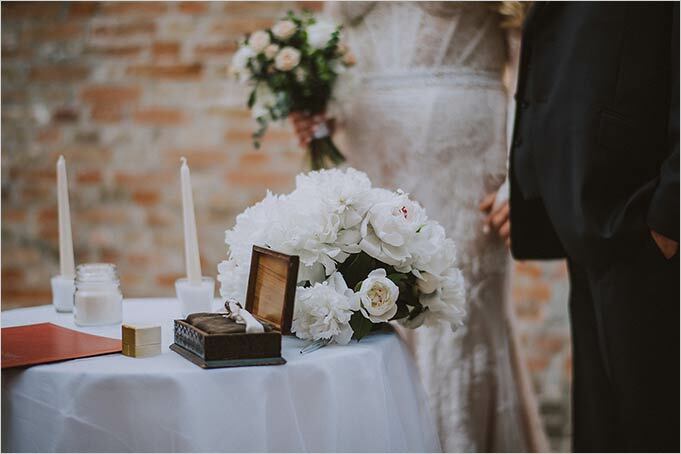 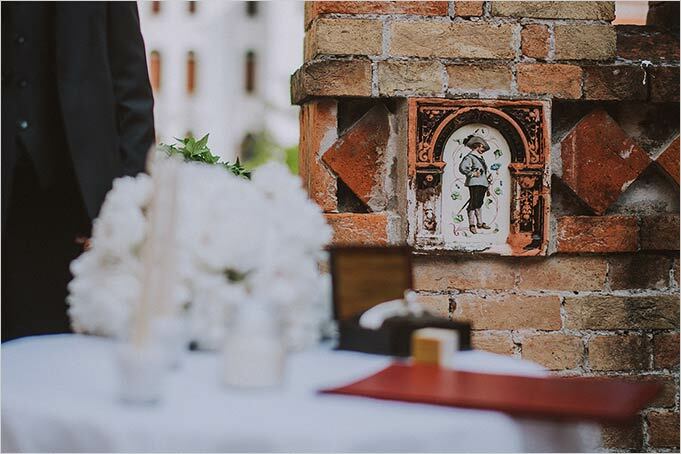 After two hours around the city looking at its most beautiful corners, bride and groom reached an intimate garden for their ceremony overlooking Canal Grande. 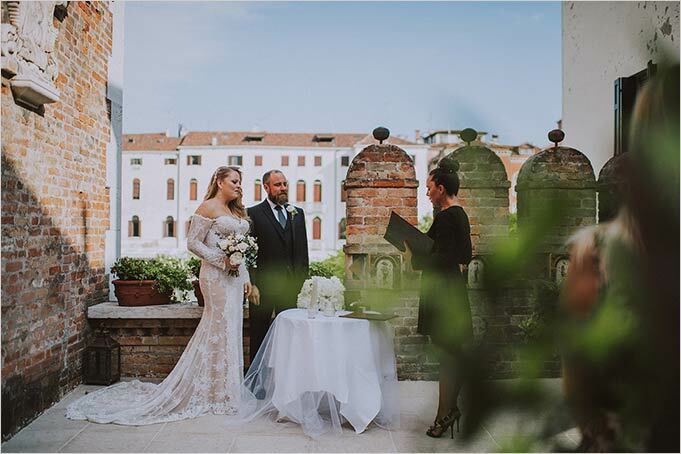 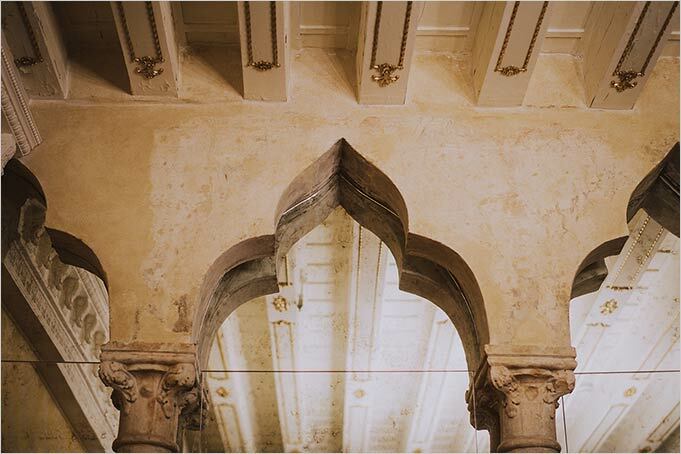 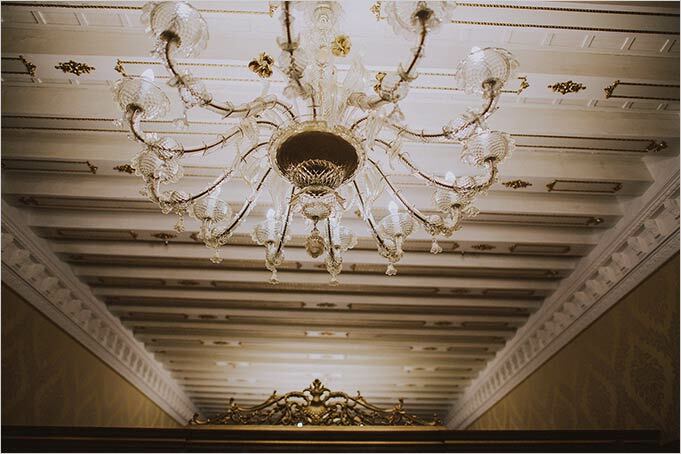 This venue is located in the heart of Venice, a lovely palace with a terrace on the first floor. 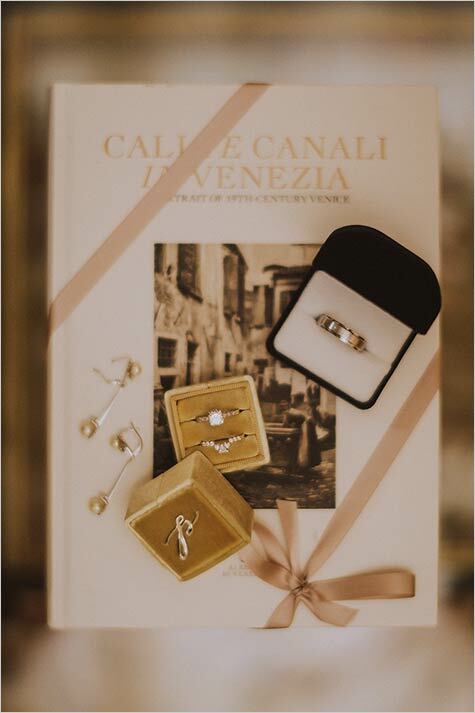 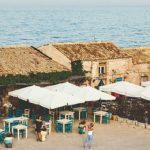 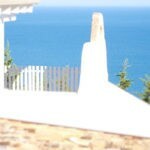 It is a perfect venue to tie the knot. 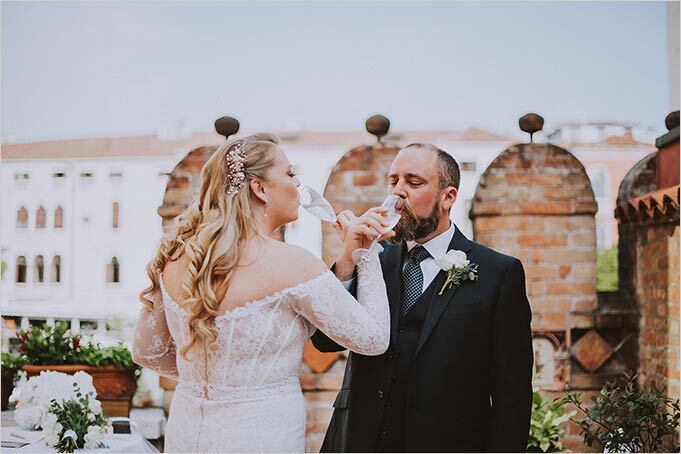 After the ceremony bride and groom had a lovely toast and took some more the wedding photos around the garden. 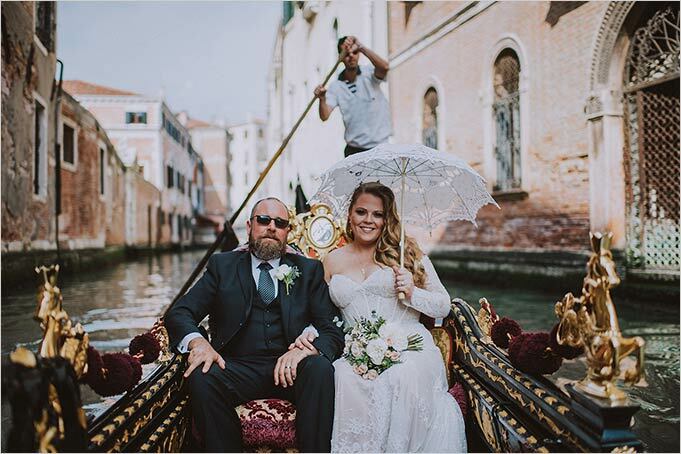 Then they took a gondola back and they enjoyed a relaxing trip around Venice across all the small bridges while people around them clapped their hands to toss to the newlyweds! 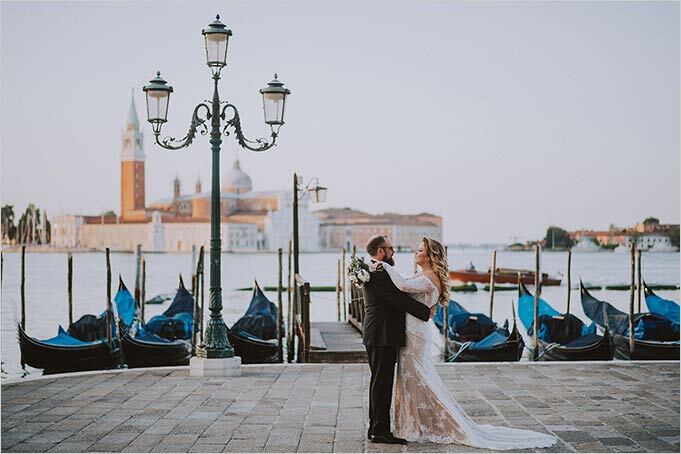 Thank you to Kaitlin and Robert for sharing with us this special day and thank you to Moon photographer for the amazing images of this lovely wedding in Venice at sunrise!